Illuminate Education has announced an integration partnership with Amplify, a next-generation curriculum and assessment company. The partnership will focus on the integration of Amplify’s new NGSS-aligned benchmark assessments within Illuminate’s Data & Assessment (DnA) platform. The integration enables teachers to use a new suite of tests designed by Amplify to assess the Next Generation Science Standards (NGSS), using Illuminate’s DnA platform for test administration, customization and reporting. Districts who have purchased both Amplify Science and DnA will have access to a more streamlined and integrated experience. Once an Amplify test is completed, educators and students can view results alongside other key assessments and data to provide a more complete academic portrait. Amplify is launching the new NGSS Benchmark Assessments this fall. 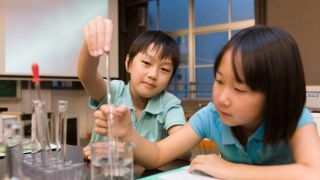 The assessments, for grades 3–8, were developed to be independent of the Amplify Science curriculum.